Maximize your home security with these essential upgrades. Follow these 12 steps to a safe and invasion-proof home. If you are ever targeted for a home invasion, spiky plants under your windows and keeping the entryway well lit are not going to protect you. Criminals with large stockpiles of drugs or money fear home invaders and thieves as much as they fear the police. Most will spend considerable time and effort to barricade their stash locations. You could learn a thing or two from them about how to protect yourself from a home invasion. They don’t put this information on the internet, however. As a federal law enforcement officer for nearly two decades, I have seen what fortifications they use to keep other bad guys out. What works for them can work for you. The first thing you need to recognize is that most home invasions will come through a door or a ground-level window. Often they will use a ruse to get you to open your front door. They will pretend to be someone who needs to check a gas meter or even a law enforcement officer. Don’t be fooled. When they use brute force to defeat the door, they don’t want to be seen and reported by nosy neighbors, so it will usually be in the back of the house. Either way, securing your doors and windows should be a priority. Here are 12 steps you can take to steel your home against invaders. These have been used for hundreds of years to literally “bar the door.” While many are homemade, companies like Doorricade and See-Safe.com offer commercially available models. They are very effective at stopping the door from opening inward. Their overall strength ultimately rests on the strength of the door jamb, where they are anchored, and the strength of the bolts that attach the brace to the jamb. If the jamb is steel and the bolts are properly anchored, the entire frame has to be ripped out of the wall before the door can be breached. These bars only take a second to drop in place, and they can only be removed by someone inside the house. Again, these are relatively simple mechanical door blocks that are extremely effective. Some type of anchor is screwed or bolted to the floor, and then a brace is slid or dropped into it that stops the door from opening. Until a door literally disintegrates or the anchor is loosened from the floor, intruders cannot get past it. They are amazingly effective from stopping a door from being kicked or knocked in. Again, unless the door comes apart, it blocks all intruders from opening that door. 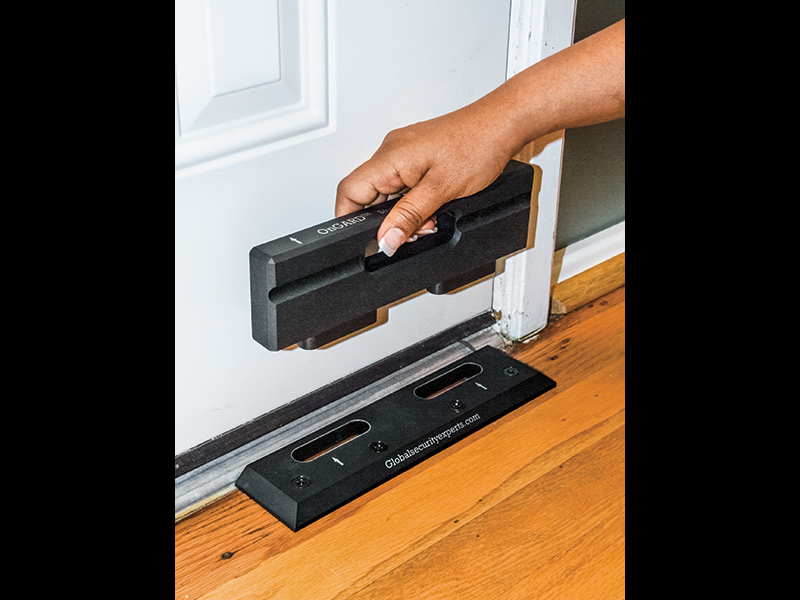 Nightlock makes a brace that slides in from the side, and offers excellent protection from someone trying to force the door from outside. We have all seen someone jam a chair under a doorknob in the movies. I am not sure if that ever actually works. What does work are door knob and door braces that are specifically made to stop an intruder. 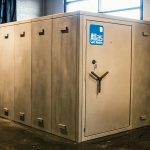 The Mace Big Jammer door brace is a classic example of a well-designed brace. It hooks under the doorknob and then adjusts in length to accommodate different heights. 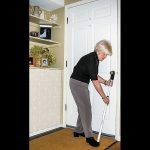 OnGARD makes a security door brace that drops in from the top and fits into two holes in the base of the door, blocking entry. While they eventually can be defeated by a determined intruder, they will certainly slow them down and cause them to exert a lot more force and noise to get past it. 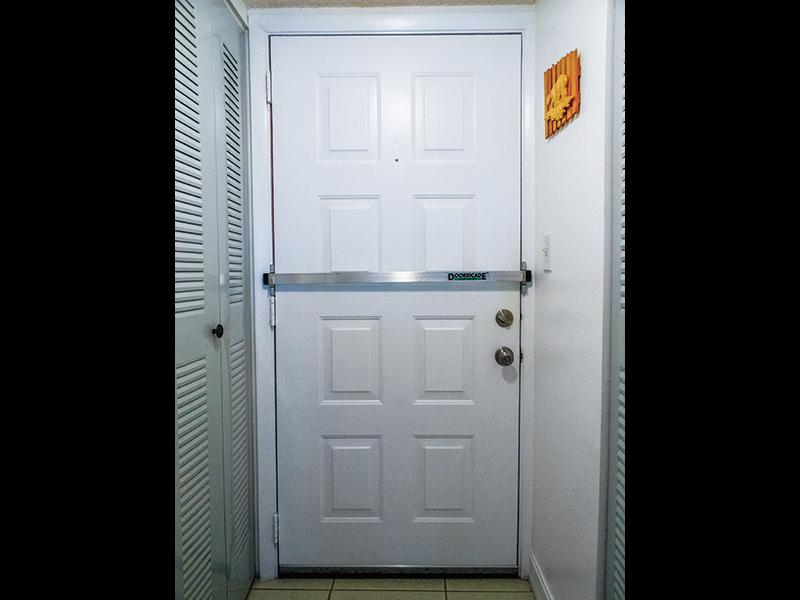 The best part about a door knob brace is that it requires no modifications to your door or home, it is portable so you can take it on trips and it can easily be hidden when not in use. The principal here is exactly the same as the one used for a door on a gun safe. Multiple, hardened-steel bolts extend out of each side of the door into the frame. Normally, a single deadbolt and latch hold the door secured. Once you defeat them, you gain entrance. A single hit from a heavy, blunt object can frequently splinter the wood of the jamb as the deadbolt pushes through it and the door is open. I have seen this accomplished with battering rams, sledgehammers and even a swift kick from a boot. 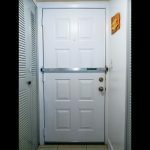 However, when a door has multiple locking points, this gets much tougher. Each point must be attacked individually, and they add collective strength. While these systems work well in traditional wood jambs, they are phenomenal in conjunction with a steel-reinforced jamb. Companies like Trilennium make multi-point locking systems that turn any door into a virtual vault. Putting bars on windows has come a long way. It used to be that they were mounted on the outside and detracted from the aesthetics of the house. You can typically tell you are in a bad part of town when you see house after house with these types of bars. Today, companies like Mr. Goodbar Home Window Security and GlassEssential make window bars that sit inside the house. Experts typically say that you want the bars to be visible from the outside, because it stops potential intruders from breaking the window in the first place. Instead, they will move on to an easier target. However, if you don’t want your house to look like it has barred windows, there are ways to hide them, too. Both previously mentioned companies make bars that are removable, or are hinged so they can be swung out of the way. 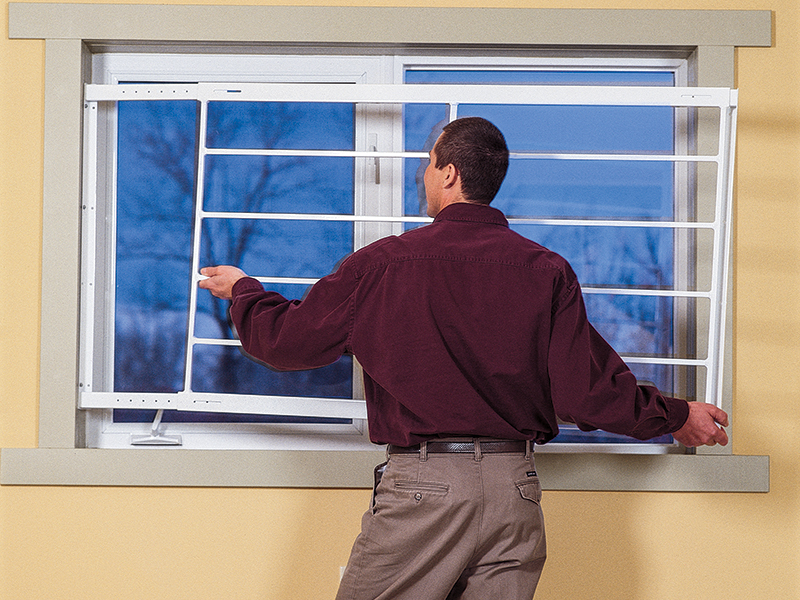 Stormproof windows are popular in areas that are frequently hit by hurricanes. If a stop sign hurled by the wind can’t break your window, a bad guy with a crow bar typically won’t either. I have seen large sheets of Plexiglas screwed to the wall inside of windows in bad guys’ houses. They are invisible from the outside. 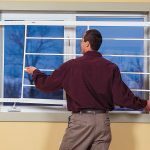 However, after the outward window is shattered, a window breaker will simply bounce off of them. Like anything, they can eventually be defeated, but it takes time and special preparation. 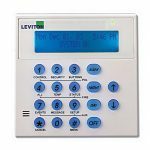 An intercom system allows the homeowner to talk to anyone at the door, and then make phone calls to confirm the person’s identity, before unlocking and letting them enter. These systems are typically paired with a camera so the person can show you their identification or credentials and you can see if they are alone. 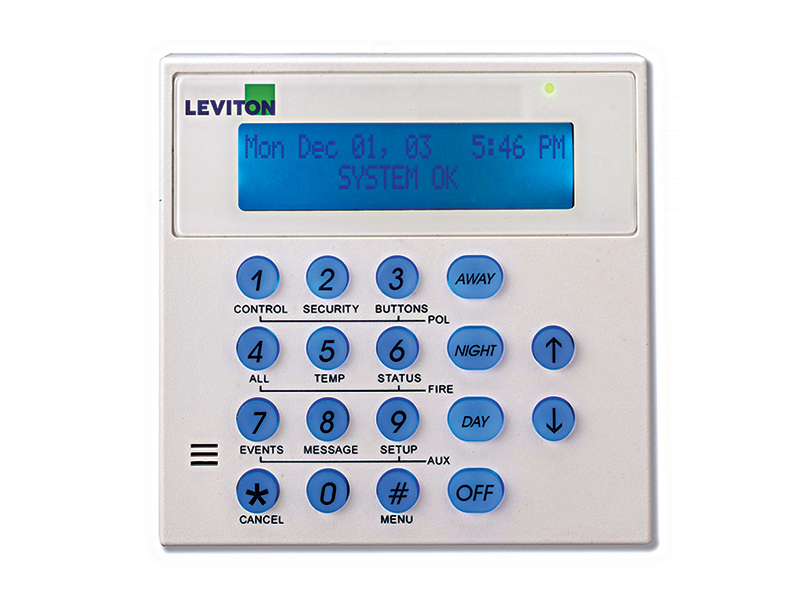 Companies like Leviton make systems that are integrated with your security system. Cameras, alarms and communications all work off of the same system. They can even be controlled by an app on your smartphone if you aren’t home. These are something you almost never see in a bad guy’s home. 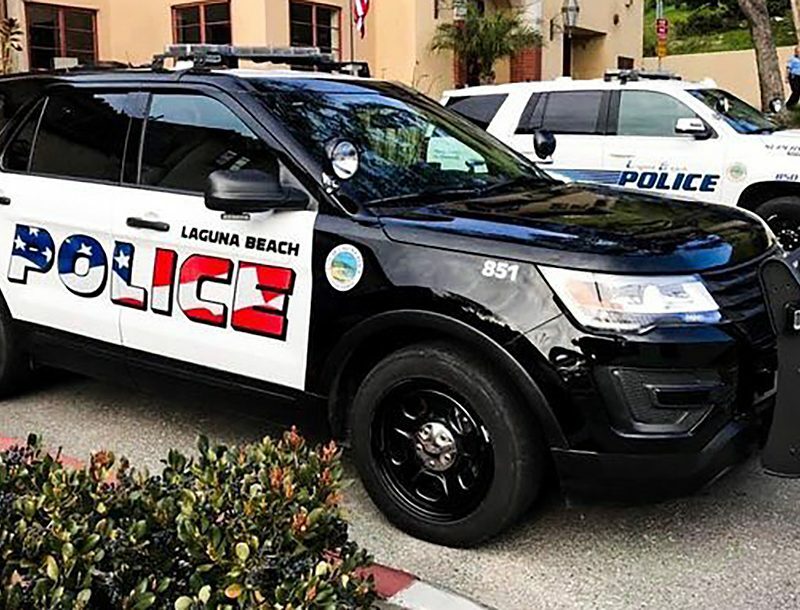 When someone breaks into their house to steal their drugs, the police are the last people they’ll contact. 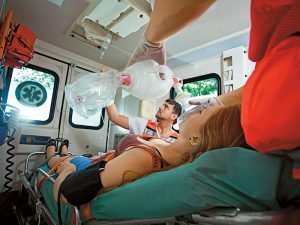 However, modern security systems with battery backup, cellular connections and the ability to be monitored by both you and the police are amazingly effective. They won’t always stop an intruder, but they will get the cavalry notified and responding. New homes are frequently built with monitors on every window and door. Aftermarket systems can be installed for a few hundred dollars. While bad guys don’t use them, they should be high on your list of home preparations. Outdoor cameras that record in both color and infrared at night are everywhere. 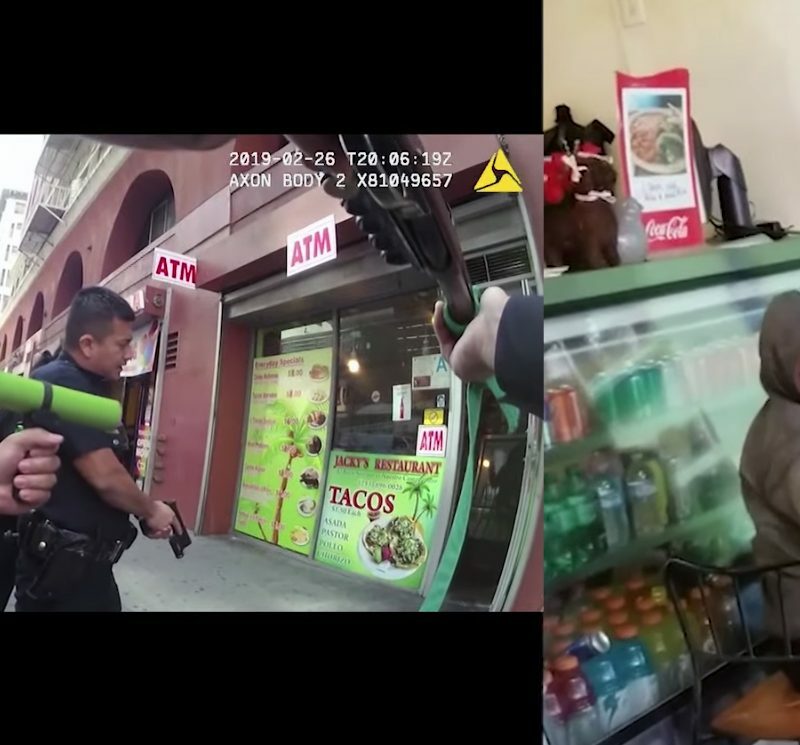 I haven’t done a raid on a single bad guy’s house in the last five years that didn’t have some kind of external camera system. Not one. These cameras can be purchased in sets, are simple to install yourself and offer the ability to be viewed on a home monitor (like your TV) or on your smartphone. They can be set up to alert you when they detect movement or sound, and to retain a recording whenever this happens. Some new home builders are putting them in from day one and integrating them into the security system. A firearm levels the playing field. The great thing about a gun for home protection is that it doesn’t need to be small or concealed. 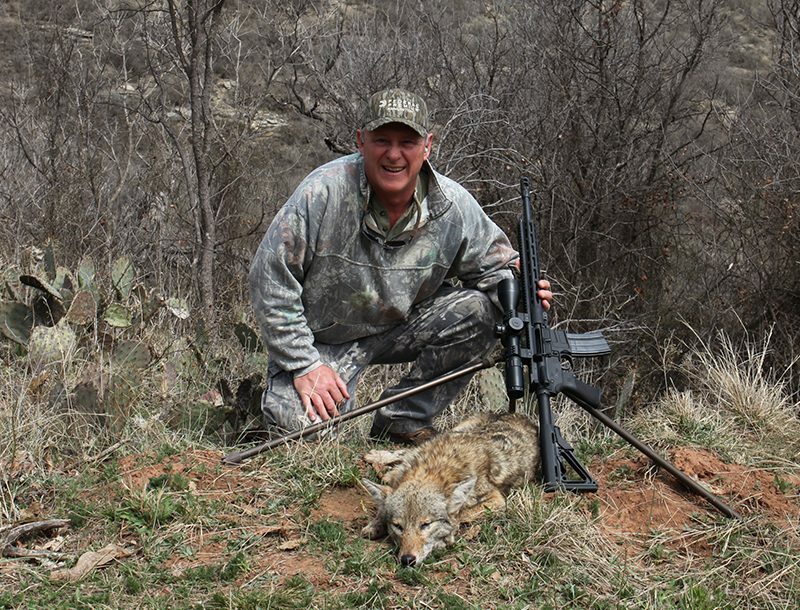 Rifles and shotguns are far easier to aim and shoot than pistols. They are also more powerful. A gun brings with it a lot of responsibility, however. It needs to be secure from curious little hands. It needs quick to access. It requires that you practice with it to become proficient. 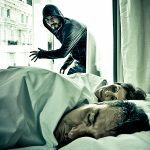 But at the end of the day, if bad guys force themselves into your home, there simply is no other tool as effective for protecting the lives of you and your loved ones. 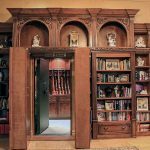 This can be a purpose-built room or it can simply be a “fall back” room where everyone goes if there are bad guys in the house. 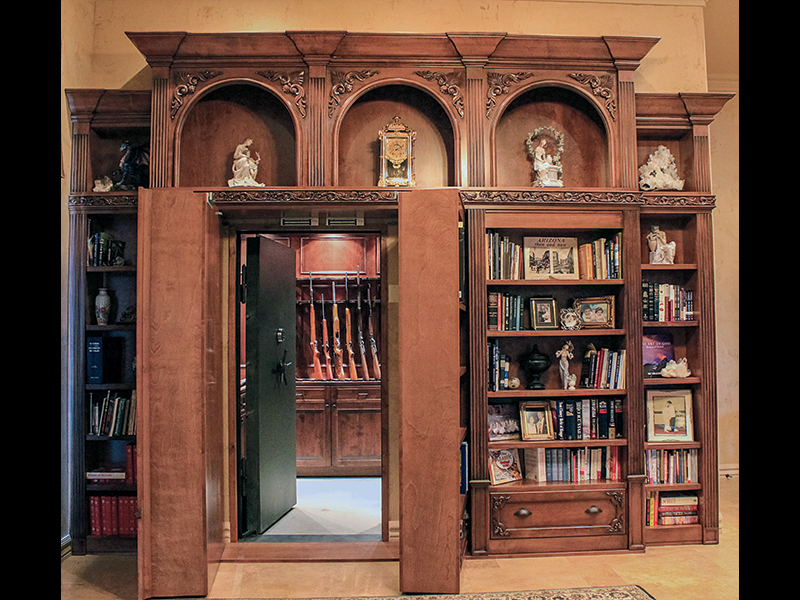 Panic rooms can be elaborately hidden spaces such as the amazing entranceways designed by Creative Home Engineering, or they can be shelter from unwanted intruders like those from Atlas Safe Rooms.Whether simple or complex, cheap or expensive, they emphasize the need for you to have a plan on where you and your family will go if invaders are inside (or trying to get inside) your home. 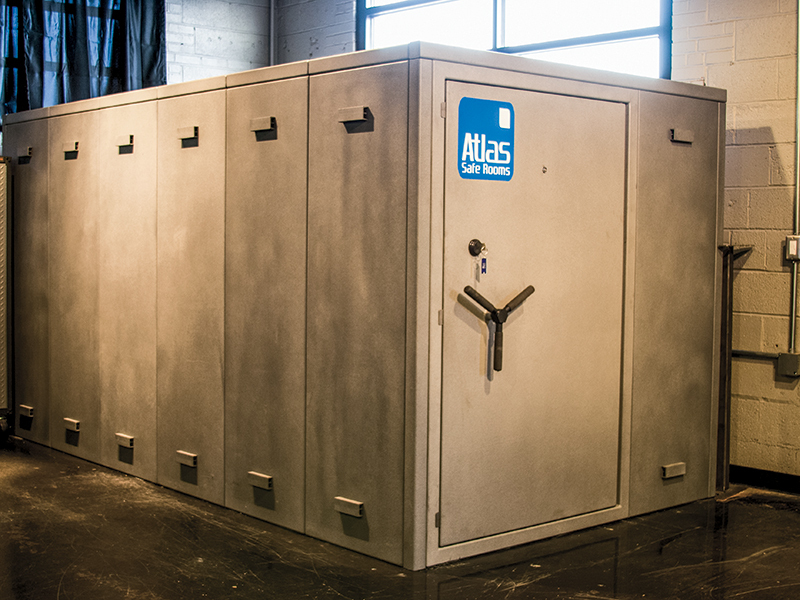 A panic room should have the means to communicate with the outside world and preparations to withstand attackers. I would suggest stocking body armor, guns, ammo, food, water, a fire extinguisher and anything else you think might give you a tactical advantage. Cage systems sit entirely inside a building. Once someone gains access, they walk into a “cell” where they are locked down. This prevents them from going farther into the building, but it also prevents them from retreating back out of the building. 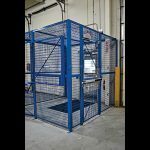 While cage systems are very effective, they take up a great deal of room, they are expensive and they look out of place in a residence. 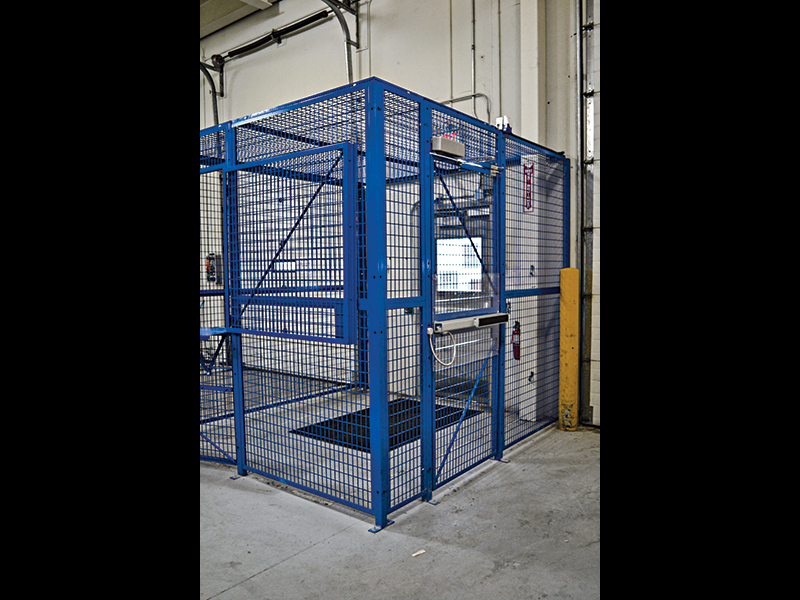 But if you want the very best in security, companies like SpaceGuard manufacture custom cages that can not only stop an intruder, it can actually capture him. Stay healthy and stop the spread of deadly viruses and bacteria!